It is an interesting beast family. They come in all shapes and sizes. For many, it is the seat of support, comfort and encouragement. For others, it is something to fear, avoid, or deny the existence of. Mine edges towards the latter, sadly. As I have been opening up more and more about the past, I have discovered a developing ability to observe my life from a very detached point of view. Detached yet objective, as opposed to disassociated out of fear and depression. One does not see things very clearly, no matter how detached they are, when the scene is obscured by the exaggerated view point of anxiety. I have long known that the causes for my troubles stem from my childhood, and my relationships with adults, and quite specifically, my parents. I am also a person that really doesn’t see the need, not like, to blame anyone for things, yet I do accept that people can be responsible. That may sound a little contradictory, so I’ll explain. To blame, in my mind, implies intent and purpose. Rarely does anyone do anything bad deliberately, or without considerable distraction. Of course, when intent is clear, then blame is certainly appropriate. On the flip side, people’s actions do have impacts. So even when the results are unintended, we are still responsible for it, or at the very least, our part in it. 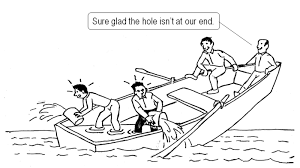 Also, blame is often very focussed on the individual or group, where as responsibility is more often a shared accountability, with each involved member being accountable for their part in the process, even the victim. Even though I was a child, I still made decisions that are mine, and I take responsibility for those choices, but I can’t be responsible for the choices and actions of another. When it comes to accepting responsibility, everyone shares that. And before anyone says anything, this does not imply that the choice is either right or wrong, just that the choice was made. But I digress. 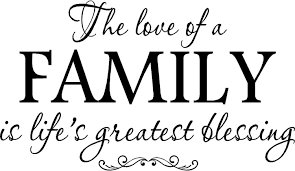 The point for my post today is the meaning of family. Once I valued the need for family, while at the same time was eager to leave it. I swallowed the platitudes and warm fuzzies that spoke of the wonder of families. The love and support they offered. The sense of security. The solidarity that one should always show to family. I tried hard to believe it. Tried. I still think it is a fine thing to feel that sense of connection to family, and in a small way I envy those that have such a bond. I do not feel it myself. This contrast was brought into sharp focus of late when I informed my parents of my separation from my wife of 14 years. It is not a separation of anger, sadness, or conflict, just an appreciation that we have drifted apart over the years. It is not unexpected, nor overly upsetting. Well, it is a little upsetting, but not devastating. Upon telling my parents, it was as if I had flipped a switch. Suddenly the warnings, fears, judgements, and suspicions were flying faster than debris in a cyclone. My attempts to clarify and explain that there was nothing to worry about brought on the statement that they questioned my ability to handle it. I assured them that I was quite able to handle it and to please, for once, have a little faith in me. What followed I shall not repeat, but it demonstrated utterly what they thought of me. Shortly after, I hung up after telling them that I wasn’t going to keep talking if they couldn’t talk reasonably with me… They couldn’t. I have received more positive, and loving support from people who are not my biological family, than I have from my own blood. Even my brother, long since moved away, and with a paternal beef of his own, has demonstrated for respect. For me, I have had to redefine what family means to me in order to be able to find the support and comfort I need as a human being. So for me, family is the people who do accept you for who you are. They support you, encourage you, and do not judge, yet can equally tell you when you are wrong. Turns out, I have a very large family. Jeff, your blog brought tears to my eyes and as a foreigner, I can absolutely understand your perspective on who one’s real family is. I agree too! I believe you will and are experiencing a huge amount of healing through all that you are going through. You are so brave to persevere and you are helping so many others by your honesty. This exercise of yours is very much appreciated!